Tucked into the hillside on My Mountain, A Beary Nice View offers beary nice views indeed. 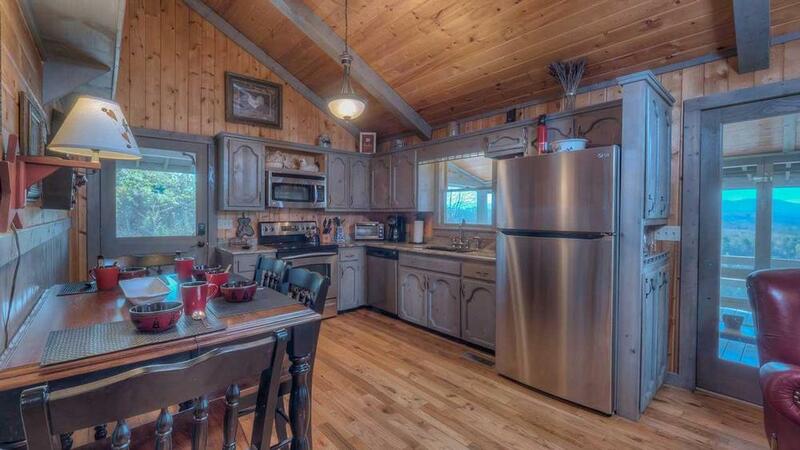 With its sweet and cozy atmosphere, Goldilocks would surely think this cabin is "just right". This Gordon cabin is so bright and cheerful it will even keep you smiling through a thunderstorm. Its Americana theme celebrates the nostalgia of a bygone era, with charming antiques and collectibles throughout the cabin. The colonial blue pine dine-in kitchen offers a lovely setting for starting the morning with some farm fresh eggs, juice, toast and honey while deciding how to spend the day — you'll 'bearly' believe how much there is to do here. 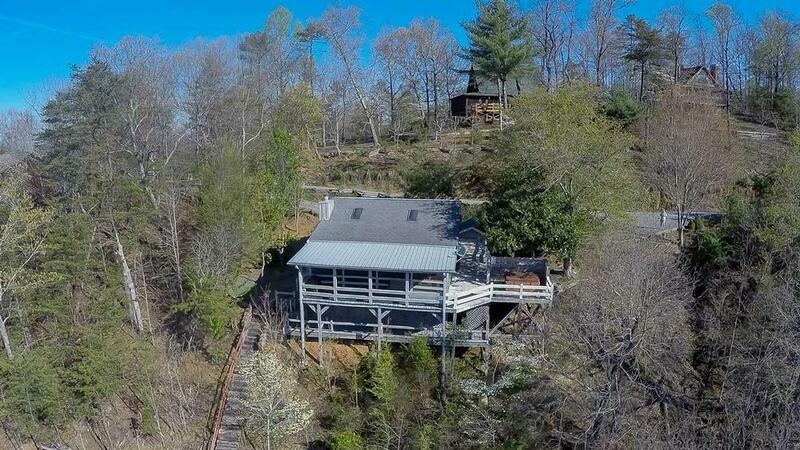 Once you've chosen among all the activities in the North Georgia Mountains, you'll be off and running. Go for an exhilarating horseback ride — whether you prefer a quick trot or a more leisurely pace, it's a wonderful way to take in the beautiful scenery surrounding you. Enjoy more spectacular views by going on a nice long hike through the mountain hills and trails. After working up a bear's appetite, have a late lunch back at the cabin's outdoor picnic table. 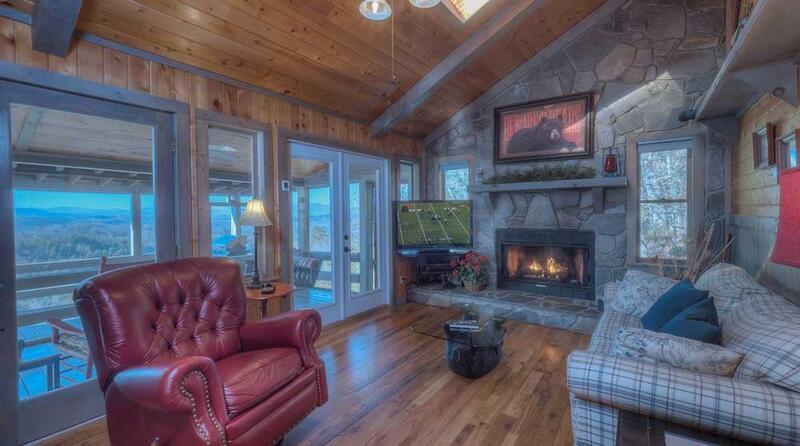 Then have an afternoon snooze in the recliner, warm and cozy by the rock gas fireplace. When you've awakened refreshed after your brief hibernation, play checkers on the screened-in porch as you witness a breathtaking sunset. Spend some time just relaxing on the porch swing while sipping a cup of tea or perhaps an Irish coffee. Make an easy pasta dish for dinner or simply enjoy a platter of hearty antipasto with a glass of wine. Then settle in to the hot tub on the private open deck for a soothing soak at the end of the day. Here you've got the perfect front row seats for Fourth of July fireworks. 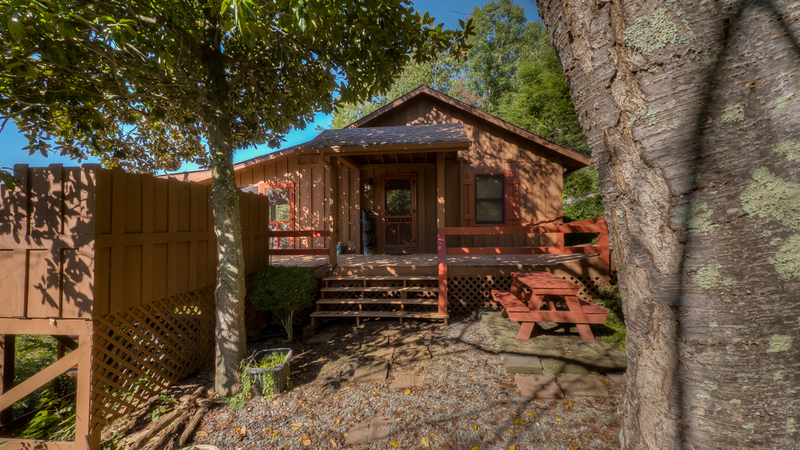 When nights are cool, stay warm inside playing board games or cards, or curl up next to your sweetheart and watch a thriller on the large flat screen TV with a full panoramic view of the stars outside your windows. Retire to the quaint queen bedroom with its antique dresser and mirror, where you'll be greeted by the cabin's cuddly bear mascot. Snuggle into the comfy bed and sleep like a bear. 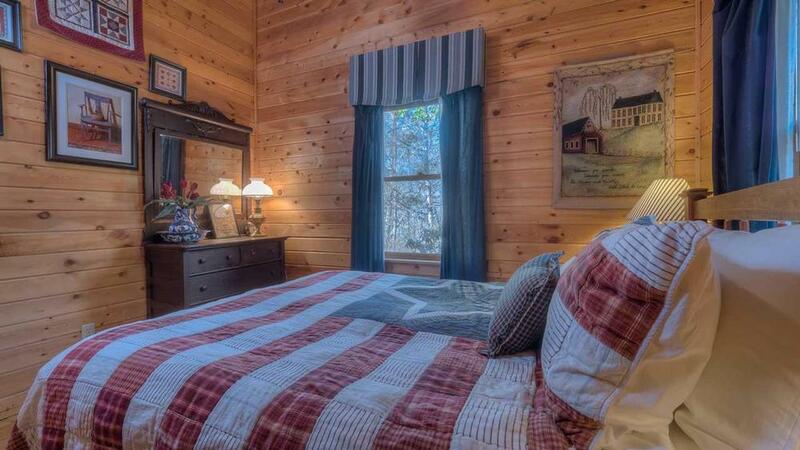 A Beary Nice View is an enchanted escape for you and your honey. A stay here will surely make you both beary happy. 03/19 - It was super. 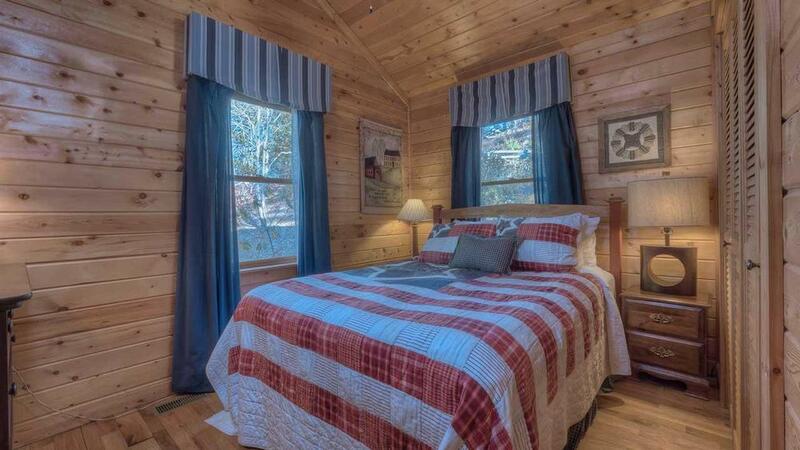 02/19 - Perfect cabin for two! Beautifully decorated, had everything we needed. The view was AMAZING!!! 02/19 - Great view!! Very clean, perfect size, loved everything about it, but that view can’t be beat. Friendly and efficient staff! 12/18 - The view is amazing!! The cabin was very clean and nicely decorated! The staff are extremely helpful and nice! Willing to help. 11/18 - Clean, cozy, fantastic view. Very pleased! 10/18 - Everything was on one level...a plus for old knees and hips. The kitchen was very well equipped. 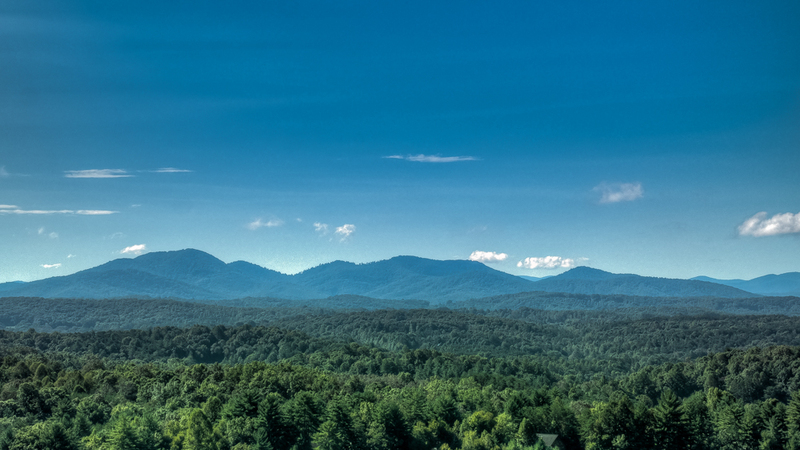 We have a very favorable impression of Escape to Blue Ridge. 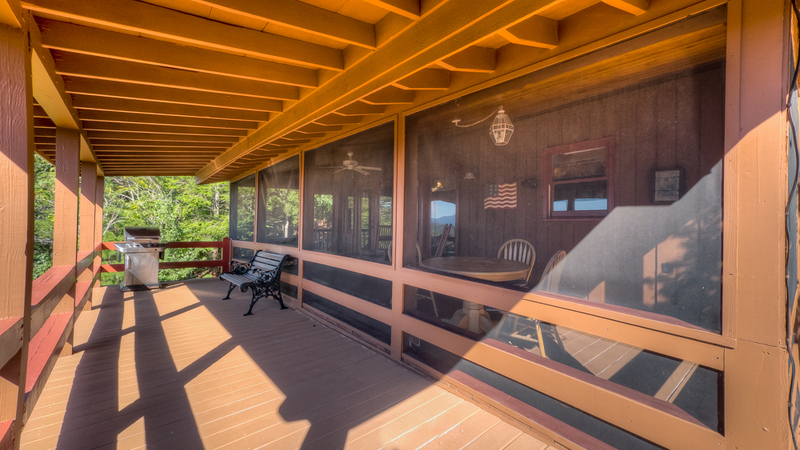 09/18 - The view and the screened in porch were my favorite part of this home., along with the decor in the cabin. Made it a very nice comfortable stay for us. I had a wonderful experience booking with this company. Every time I had questions they were always friendly and enjoyable to speak with. 10/17- The view was absolutely amazing, along with the wrap around back porch. Very clean and updated. The company is very organized. 07/17- Enjoyed the view. Dealings with the company and rentals for once or twice a year for the last five years have been very satisfactory. 06/17- The view was incredible. Easy to work with, seamless directions. 06/17- We loved the views & the cabin felt like home. Very helpful staff. 06/17- The view was gorgeous. Liked the size, cozy for my wife & me, and the hot tub. Professional company, easy to work with. We expect to return. 05/17- This quaint cabin has the best view of all the cabins at which we have stayed. 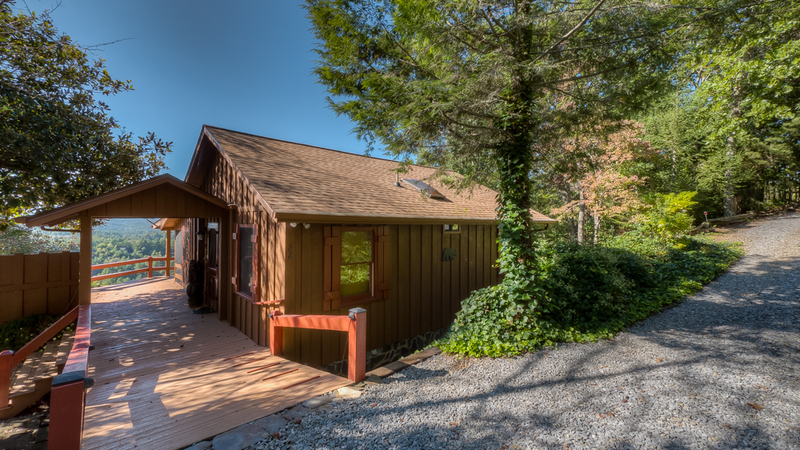 Escape to Blue Ridge is my go to company for mountain cabins. I always have tremendous service and have loved every cabin at which we have stayed. I continue to recommend you to all my friends and, to date, I know of three couples who have visited per my recommendation! 04/17- We loved the view. Great company! 02/17- The house was clean, comfortable, and exactly as the website had described. The view was unbeatable. Very professional staff, quick to respond, and quick to help if needed. 01/17- THE VIEW!!!!!! Beautifully decorated, wonderful fireplace, dishes all matched. When we arrived,we thought someone was there. Wonderful soft music playing, lights on, and warm!Ì¢å�å_Ìøåüå�Ì¢å�å_Ìøåüå�Ì¢å�å_Ìøåüå�Ì¢å�å_Ìøåüå�Ì¢å�å_Ìøåüå�Ì¢å�å_Ìøåüå�Ì¢å�å_Ìøåüå�Ì¢å�å_Ìøåüå�Very helpful staff. 10/16- This little cabin may have the best view of any of the cabins at which we stayed. We loved the screened in porch and enjoyed grilling on the open deck. It had a wonderful, modern TV on which we enjoyed watching movies. You guys always provide excellent service and reliably wonderful homes. There is no other place we would prefer to vacation! Thank you! 09/16- Beautiful mountain view, quiet and relaxing. We needed to get away from reality for a bit. You made it so easy, can't thank you enough! 08/16- Looked the view and Cabin/House but the bed was horrible!! My husband and I lost two nights sleep due to the condition of the bed! 07/16- Spectacular view, privacy, quiet, and simple layout of the interior. 07/16- We loved the view, the quiet, and the hot tub. We were very pleased with the cabin ... grill was good, Internet was adequate, and satellite tv was nice to have since the British Open was being played. EBR was fantastic !! Reservations call was incredibly smooth. We had a minor maintenance issue and, when I called guest services, it was handled very quickly with no inconvenience to us. Every EBR representative we talked with was friendly, well informed and made us feel like you really appreciated our business. As a result, you will get more of our business on future trips. Thanks for a wonderful experience. 07/16- Sitting out on the screened in porch and looking out over the mountains was the most relaxing time. This is our second time to rent A Beary Nice View and hope to come back next year. 07/16- Beary Nice View is clean, well maintained, and has a "beary nice" view. It's just the right size, not too big, not too small. It is well equipped, private, and comfortable. This is my second time renting Beary Nice View with EBR, and both times were excellent. 06/16- We really like the design of the cabin the skylight the enclosed deck the hot tub. I had a very pleasant experience with everyone I encounter from reservation to cleaning technician. 06/16- The view and it was all wonderful. 05/16- Cute, cozy, love the porch and the view. 03/16- My wife and I loved the cozy little cabin. I would recommend anyone I know to spend a week there. 02/16- Great view and the available amenities were nice. 02/16- 'A Beary Nice View' was a perfect getaway! The view was spectacular and the mountain drive itself was beautiful. The cabin was so clean and had everything you could need for a week away. The company was very easy to work with. The staff was always pleasant and helpful on the phone, and the whole process was smooth and easy. 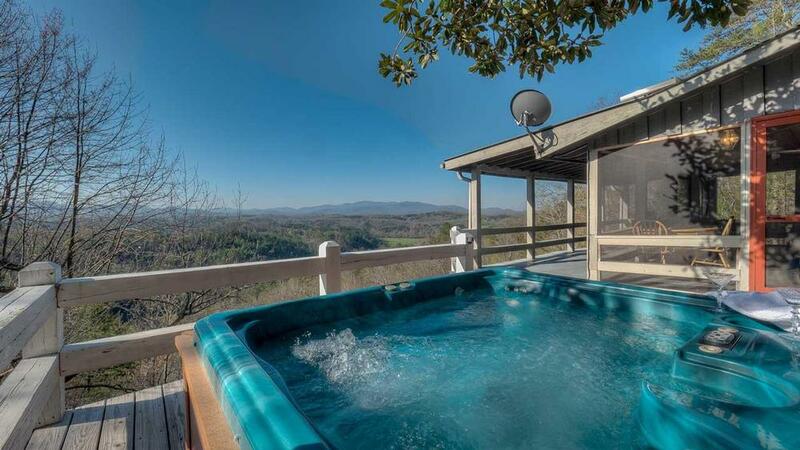 12/15- Clean and neat/beautiful outside area to enjoy views/ hot tub great. Loved toaster oven and coffee maker. Excellent service and response times. Very good company. 12/15- The cabin has a gorgeous view, a wonderful hot tub, and we loved the instant-light gas fireplace. There were all the towels, paper products, dishware and such we needed to make it feel like home. 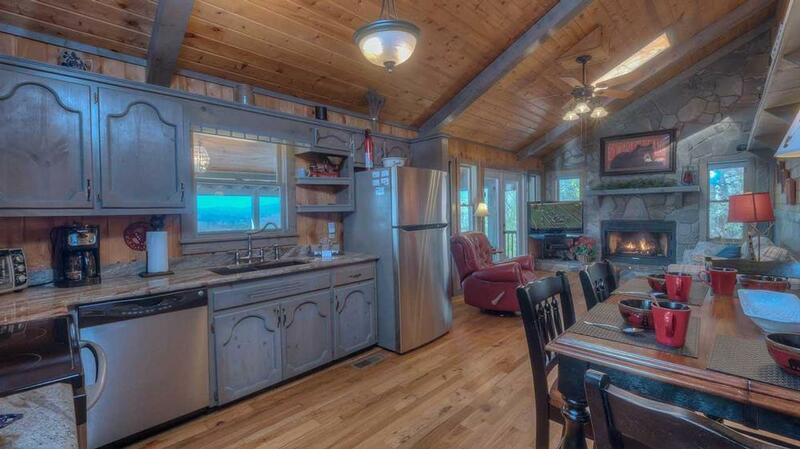 Really, there is so much to love about that cozy cabin. Enjoyed perusing through the guest book to read about other's experiences here. Also loved the fact that our dog could enjoy the vacation with us. Very good communicators with the emails advising of directions, the code to get in and such. Also, good instructions and emails for check-out procedures. We do look forward to another vacation using your company! Thanks - we had a great time. 11/15- The decor and the outdoor area was wonderful. 11/15- We stayed at "A Beary Nice View".. and it was WONDERFUL! Loved the fantastic view and the coziness of the cabin! The screened in porch was beautiful and relaxing.And the hot tub was very relaxing! The company was a delight to work with, very accommodating to our needs. And the concierge service had the fridge stocked for us upon our arrival! We can't wait to come back and visit! 10/15- Very clean ,inviting, comfortable, and a beautiful view or the mountains. Very helpful in finding us a beautiful place in these wonderful mountains with short notice late in the season. 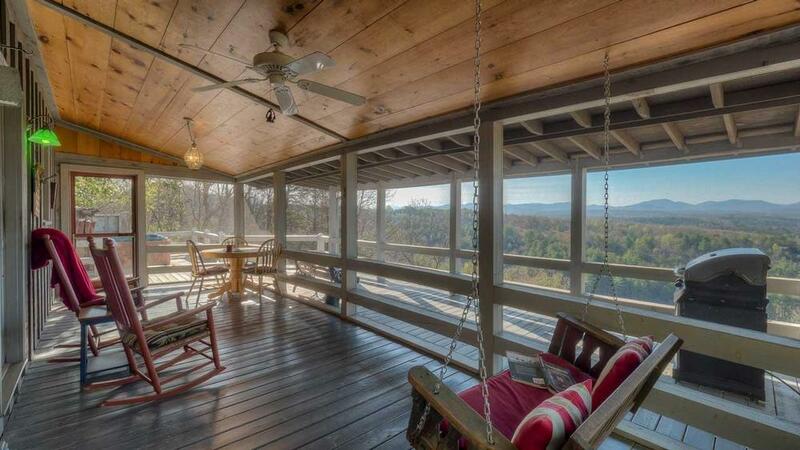 11/15- The screen porch and comfortable furniture on the porch, as well as the view from the porch. Also, the house was immaculate. Have rented with your company for over five years and summer and fall for the last 2 years. Will continue to use your company for our mountain stays. 10/15- The view and seclusion were the features we most enjoyed. 10/15- Very neat and clean. Loved the enclosed porch. Escape to Blue Ridge has been excellent to work with. This is our third trip using your company and we have had no issues and nothing but nice places and fun. 10/15- View, Peaceful, Clean. Awesome experience with your company. 08/15- The cabin was very lovely and the view was terrific. We enjoyed the hot tub. It is centrally located and easy to get to. The neighborhood was very quiet and peaceful. We enjoyed meeting the owner of the cabin just by accident. She is a lovely lady. The management company seems to be very efficient and helpful. And we thank them for their assistance. 07/15- The view- furnishings were and nicely done. The open deck in combination with the screened deck( we enjoyed our meals there). Location and paved roads mostly to the home. Dead end street with low traffic. Loved the little touches with the welcome bag and goodies. The towels were awesome and the personal cards are a nice touch ! 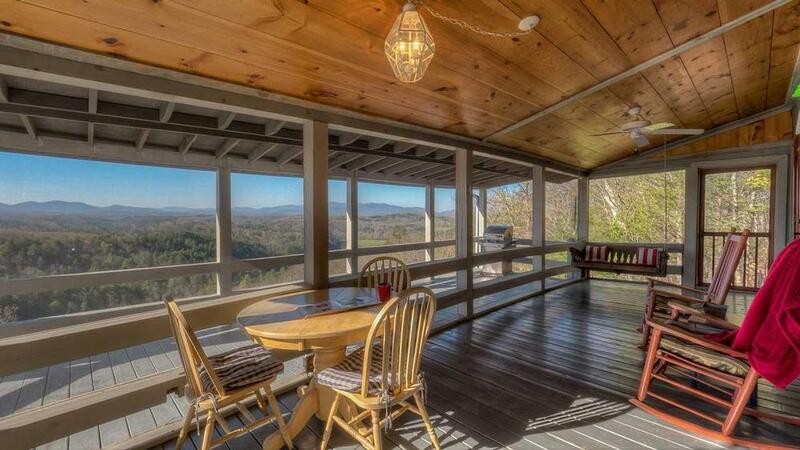 06/15- We loved the amazing million dollar views, screened in porch, how clean everything was. The attention to the interior decor was fantastic. Very cozy and homely. 05/15- The cabin was very nice, location was excellent, and the view was awesome. 04/15- The view was amazing! 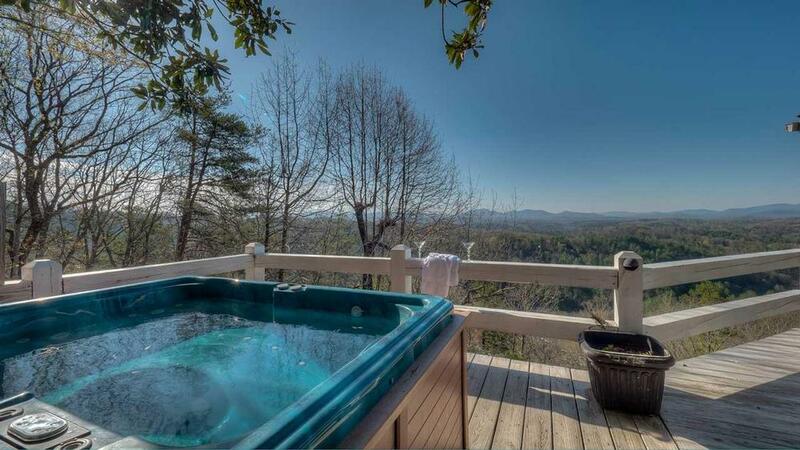 The jacuzzi was very clean and in a perfect spot looking out to the mountains. Also, the bed was very comfortable! 03/15- The view was great! 02/15- The view was incredible.Always clean and cozy. 10/14- The porch swing & the fireplace were favorite features. Kitchen was in good shape with plenty of dishes, pots & pans, etc. The area was very peaceful & relaxing. Excellent choice! 10/14- The screened porch and the view were our favorites. The kitchen was well equipped for our use. I've enjoyed renting houses from you for the last 3 years, with 4 rental occasions. 08/14- the view and the hot tub were great and easy to access via motorcycle.